Last week I met a lovely new client who tracked me down to get an opinion on what sort of price this property could go for, and how he could engage my services to buy it for the right price. 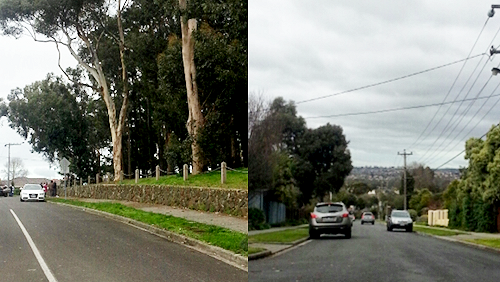 “Viewbank?” I hear people ask… Yes, that little patch between Rosanna, Templestowe and Lower Plenty. What makes it special? A lot of things, but a special property isn’t just based on the suburb – it is about the street, the aspect and the property itself. This particular house was just as Brad (auctioneer at Miles Real Estate) described it. He recollected the times he’d driven past this 60s designed one-off and did his best to spread his own enthusiasm throughout the crowd with a fantastic pre-auction spiel. We all gathered out the front along Meyrick Crescent; some jittery bidders showing their nerves while others leaned casually against the retaining wall of Price Park. I conceded to myself that whatever my clients’ attraction to this property had been based on, this house really was quite special. We had our pre-auction meeting in the Rosanna village at a cute little cafe-bar called Jillian’s. The service was friendly and unobtrusive and it gave us a great opportunity to put our auction strategy in place. The property was just a four minute drive further along Lower Plenty Road, so I could appreciate just how ‘village-y’ the area must feel for the locals. My car wound up the hill through the residential streets and once I pulled up outside the property, I could take in the elevation and the outlook. Pretty, rustic streets and quiet suburban homes became the backdrop for our auction scene and with Price Park right out the front, I wondered how this little location could stay under the radar. 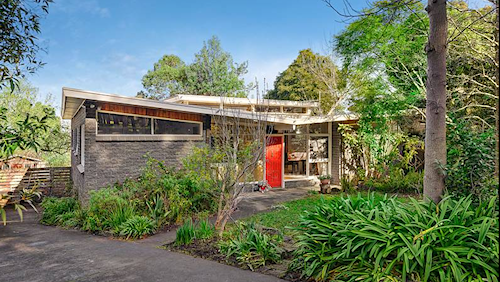 The house boasted a fabulous 60s design and was essentially unrenovated, but ripe and waiting for its new owners to add their own touch of magic. I couldn’t decide if the drawcard was the style of the home, the massive 939sqm allotment, the light-filled, north facing design, or the leafy park across the road. Bidding was kicked off by one eager buyer. His folded arms, step to step pacing, awkward stance and dark glasses on such a gloomy day gave his position away – and I was not shocked when he threw in the first bid at $580K, towards the base of the quoted range. Scooting almost twenty per cent above the vendor’s reserve, and more than 35 per cent above the base of the quoted range, I think today’s result of $775,000 surprised everyone. As disappointing as it was for my buyer, we (obviously) weren’t the winning bidders. However, someone achieved their dream and bought an exciting adventure. The question I toyed with afterwards was – what WAS it about 18 Meyrick Crescent that enabled that emotionally-driven result? In the end I decided it was ALL that it had to offer; the 60s style, the massive land size, the superb and well-thought-out orientation and of course, the beautiful park directly opposite… but not withstanding the buying conditions and the market timing. Buying in winter can be hard on buyers due to reduced stock levels, but selling in winter… well, it remains an optimum time for some sellers, particularly when the property boasts scarcity appeal. Results like this are a stark reminder that timing is everything. 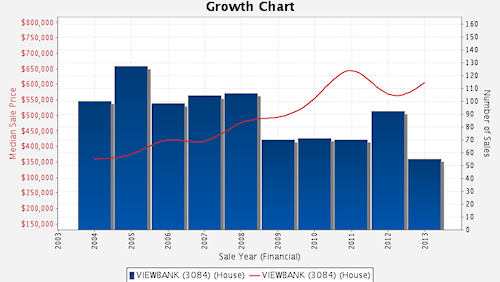 Street Talk > What Makes Viewbank Special? Apart from viewbank college, and beingan arms reach to rosanna and heidelberg via the heavily overcrowded rossanna rd, what infrastructure is there or is planned to be built there? It is in my opinion a suburban wasteland caught in the middle of a thriving heidelberg and plateauing lower templestowe. no rail, no decent shops, terrible roads in and out. investors avoid!